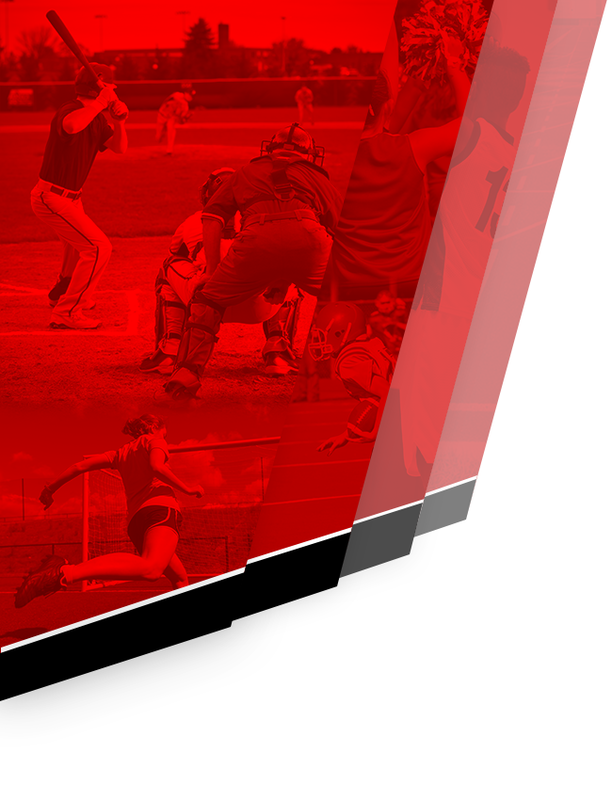 Redhawks News · Feb 10 Redhawk Girls and Boys Repeat!! The Castle was rocking on Friday night with a new attendance record to see the Redhawks sweep the Ridge View Blazers on Senior Night. 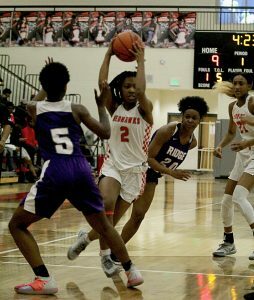 The Redhawk girls got off to a fast and furious start as they quickly jumped out in front of the Blazers and never looked back to go on to win the Region Championship outright by a score of 64-33. The Redhawks were led by Sophomore sensation Malayziah Etheridge with 18 points and Unique Drake followed with 10 points. The Redhawks repeat as Region Champions after winning a share of the Championship last year with RNE. The Redhawks will now be a #1 seed in the playoffs and will host Belton Honea-Path at “The Castle” on Tuesday night with a 6:00pm start. 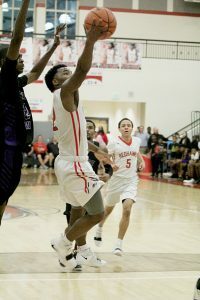 In the highly anticipated boys game, the Blazers jumped out in front in the first quarter and remained in front of the Redhawks for much of the game. However, the never say die Redhawks slowly inched their way back into the game in the 4th quarter with the tough nosed defense led by Christian Horn and Ahmon Green. Horn would make one of the biggest plays in the game securing a steal and then an assist to Russell Jones Jr, who would score a floater with four seconds left. However, the officials put 6 seconds back on the clock after Ridge View’s timeout. After the timeout, Ridge View would drive the length of the floor only to be called for a charging foul as Ahmon Green would leave his man to stand in the way of the drive and take a charge as time expired negating the Blazer basket. The one point win allows the two teams to share the Region title for the second season in a row but will give the Blazers the higher seed from the Region due to the point differential between the two teams. 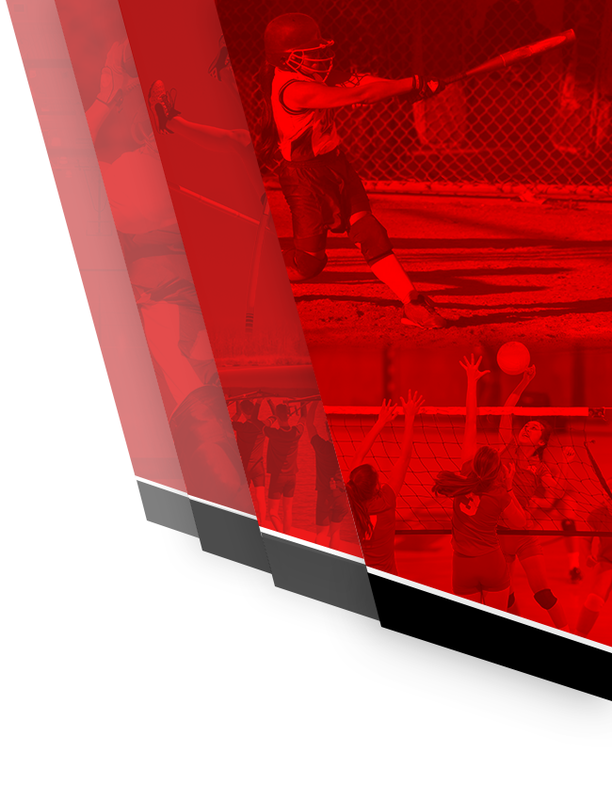 The Redhawks will be at home on Wednesday and will take on the Lakewood Gators at 7:00pm.